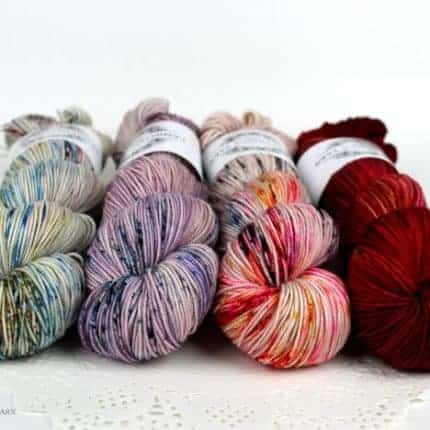 Rose Cardigan fade kits are here! Andrea Mowry has done it again! The Rose cardigan is an open front cardi with cables, positive ease, and a beautiful fade from sleeve to back. 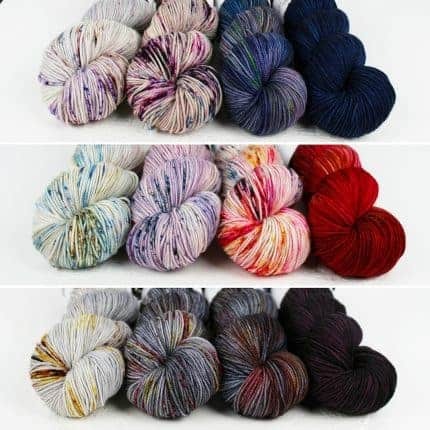 It’s so pretty, we just had to put together some kits for you! 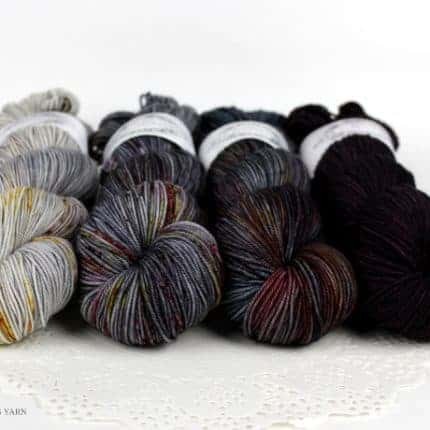 We’ve added three new fade kits designed to create this cardigan in sizes XS-L (sizes specified). Kit #1, #2 and #3 are all made to produce a fade that starts light on the back and ends dark at the sleeves, similar to the original design. All the color combinations are nuetral with pops and hints of exciting colors! 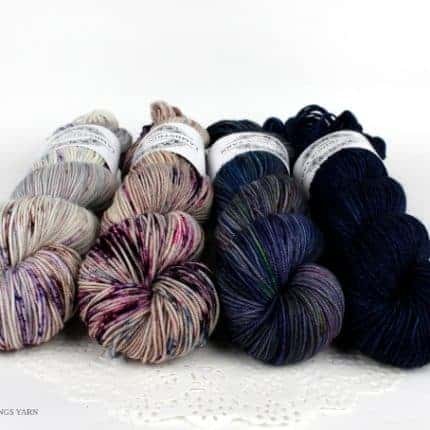 The base is a squishy 100% SW Merino 3-ply sport weight, brand new to Lambstrings Yarn, and we love it! This base is lightweight and warm, practical for spring and light enough to wear into the summer.